This is very nice add-on. Thenks. I selected mask. Clicked “Create VGroup”. Switched to Edit mode and clicked Select in Vertex group. Selected the whole object, instead part of the object. p.s. Sorry fo my English. Hi juniorB; yes your mask wont be usable in edit mode, this addon is meant for sculpt mode only. 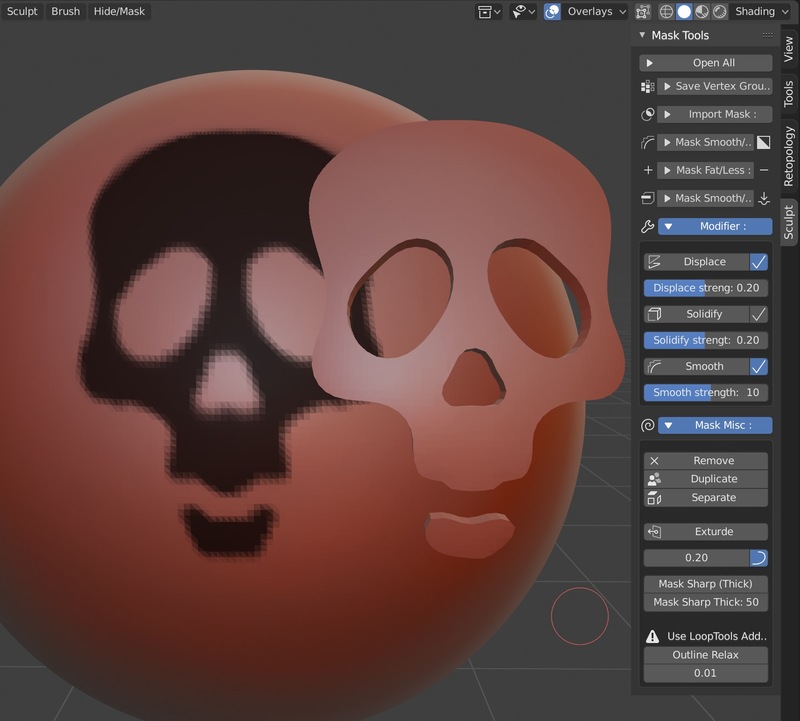 This addon uses vertex mask weight property while in edit mode vertex groups use weight property. What you can do is use another method for this. In sculpt mode create your mask, if you want to save your mask use “Mask To Vgroup” option. Then in sculpt mode go to menu Hide/Mask > choose “Hide Masked” . Then while in sculpt mode press tab to go to edit mode, you will see your masked parts will be hidden. If some vertices are already selected deselect everything, then unhide all ALT+H, now your masked part should be selected. You can create a new vertex group in edit mode to save this . Is this still in development ? 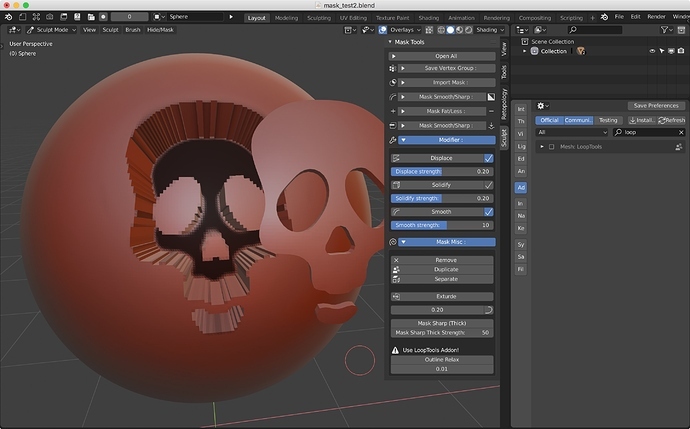 Where can I get this add-on for Blender 2.79b and for 2.8 ? I corresponded to Blender 2.8 2019.01.18 version. bookyakuno. 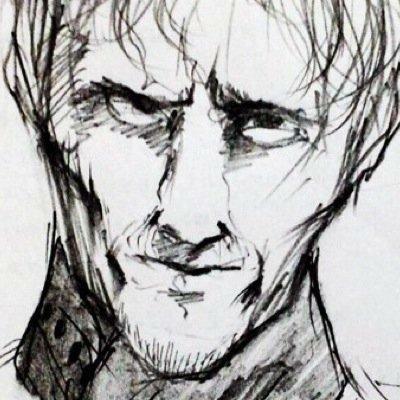 Contribute to bookyakuno/-Blender- development by creating an account on GitHub. Be careful because you are using Relax of LoopTools addon! For extrusion, LoopTool’s Relax is used. If you turn off the curve icon, extrusion can be executed without enabling LoopTool. 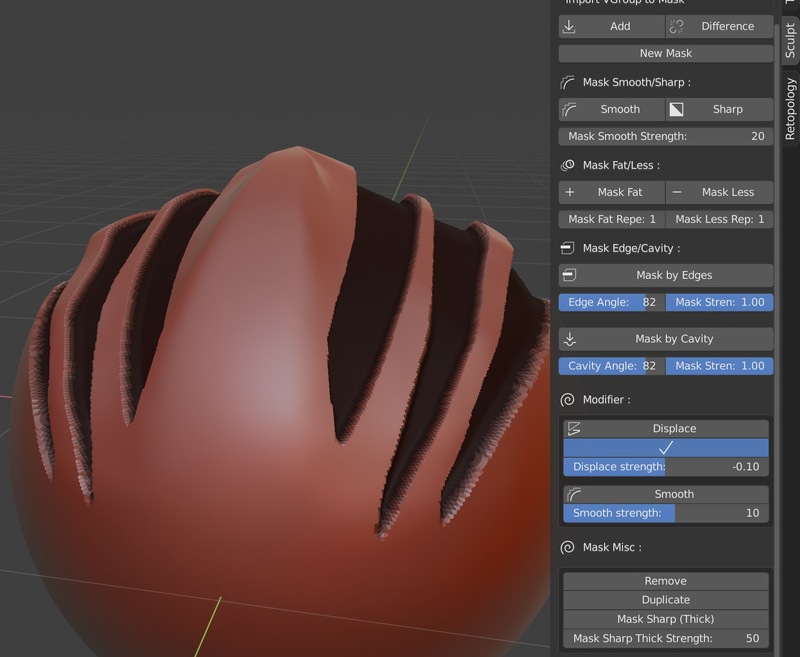 Thanks for the update, If you are planing to keep developing this, there’s sculpt magic tools based on join this addon with the sculpt tools and add some extra functions to both, I think they are not supported anymore . I do not use those two addons, so I will not update to Blender 2.8. But, I am considering implementing functions that are convenient for this add-on. An excellent addon, the latest improvements make it super useful. 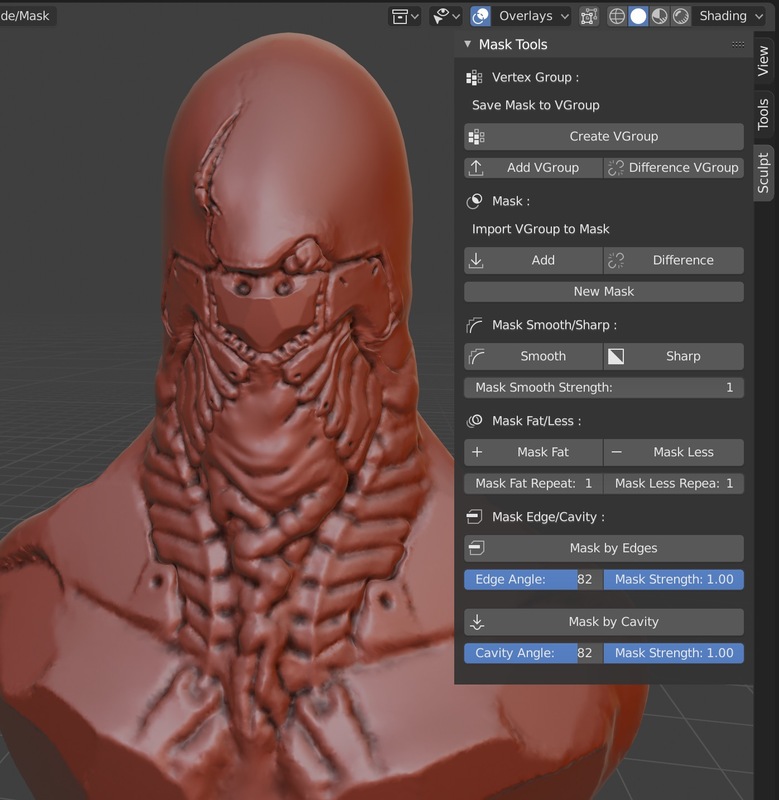 Just a couple details, Dyntopo is disconnected with almost any action, and I can not see what Mask Sharp (Thick) does. Thank Bookyankuno. 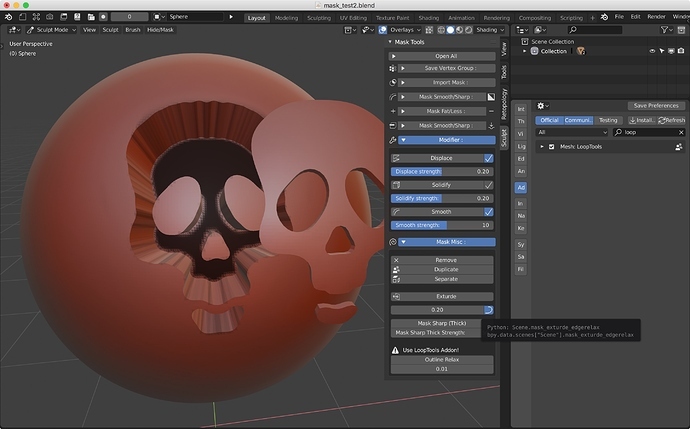 A great contribution to Blender. A facilitator in the sculptures. It would be great to have these two addons added to the Blender trunk. This is a function that sets the weight paint operation as a macro. It is necessary to increase the intensity in proportion to the resolution of the mesh. Execute weight smooth. Repeat for the set number of times. Sharpen the contour of the mask. Shape only the thick part of the mask. Sharpen the part masked even a little. It becomes thicker than “Mask Sharp”. I hope to operate mask operation as much as possible by clicking. It is because operation at the pen tab becomes smooth. Fixed a bug fix mesh.duplicate overwriting standard operator name. menu subtle change, mode related relation is classified. There was no description on this. 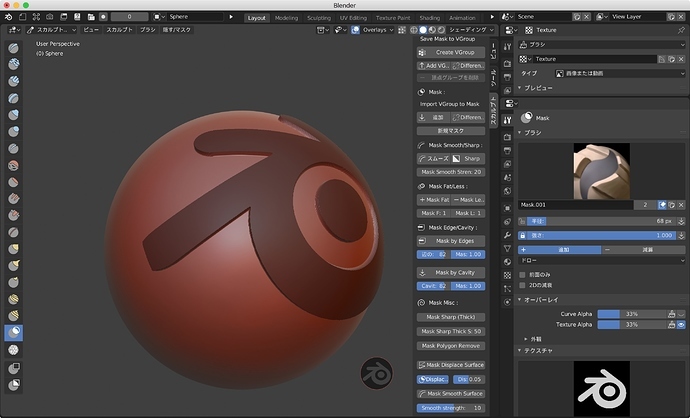 A very useful add-on, @yii7 and @Bookyakuno , many thanks for sharing this with the Blender community, much appreciated. It’d be great if the Mask Tools Smooth modifier could also be applied to an unmasked mesh. I’d love to see a function that fills a mask outline, so you’d only need to draw the border of a mask area, then fill the inside. Never mind, I didn’t think of simply pressing Control + I to invert an unmasked mesh to a completely masked mesh. But it would be great if there’d be a one-button option for the current process of duplicating a mask to a new object, then selecting the new object and extrude everything with LoopTools Relax, comparable to ZBrush Extract with edge smoothing. This is an amazing addon. Very helpful. Just a quick note, though. The 2.8 version is causing the Edit Mesh > Duplicate function to no longer work. I’ve looked at the addon settings and don’t see any reason for this. Any thoughts? You sure it’s not a bug in Blender right now? There’s currently something funny going on with duplicating parented stuff, might be related.